It’s no secret that diagnosing psychological problems can present a challenge. It’s often the case that psychiatrists go looking in the wrong places and as a result, patients end up with an inaccurate diagnosis. 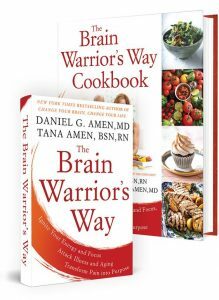 In this episode of The Brain Warrior’s Way Podcast, Dr. Daniel Amen and Tana Amen are joined by functional medicine specialist Dr. Mark Filidei for a discussion on the secret brain burglars that are often the hidden causes to these brain issues. Tana Amen:	If you're enjoying the Brain Warriors Way podcast please don't forget to subscribe so you'll always know when there's a new episode. And while you're at it, feel free to give us a review or five star rating, as that helps others find the podcast. 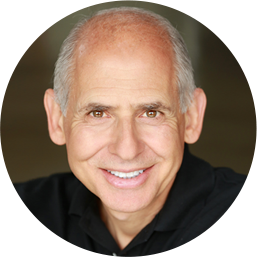 Dr Daniel Amen:	If you're interested in coming to Amen Clinics, use the code podcast10 to get a 10% discount on a full evaluation at Amenclinics.com. For more information, give us a call at 855-978-1363. Welcome to a very special week. I am here with Dr. Mark Filidei. Mark is the director of integrative and functional medicine at Amen Clinics. Mark is a physician. He went to UC Davis, then got his medical degree at the University of North Texas, did his internship at Tulane University and his residency in internal medicine at Brown. He was the former medical director of the Whitaker Wellness Clinic. Mark and I met, goodness, over a decade ago when I was teaching at the American Association of Anti-aging Medicine, and we realized our practices were across the street from each other. Mark had a big interest in the medical aspects of psychiatric illness. We decided we loved each other and he's been here at Amen Clinics ... how long now? Dr. Mark Filidei:	Six years I think. Dr Daniel Amen:	Six years. And I refer probably half of my patients to him. What we're gonna talk about this week in these four podcasts, is the other reasons that can steal your mind. You know I started doing SPECT, goodness almost 30 years ago, and I didn't learn one thing in my psychiatric residency that was going to prepare me for what really looked like a toxic brain. When I first started, I was the director of a substance abuse treatment program, and so the awful brains I saw, I just assumed they were from self-harm. But then I would see these toxic looking brains of people who didn't drink and who were not using drugs. Dr. Mark Filidei:	No explanation for them. 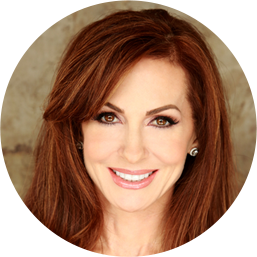 Dr Daniel Amen:	And I had no explanation, and then all of a sudden ... I remember this one woman, Caroline, I loved her. She's like, "I have brain fog," she had terrible brain, she worked at a Christian University. There was no drugs, no alcohol. It turned out she had mold in her house. When her kids were in the house they couldn't do their homework and she was yelling at them, and when they went to their friend's house, they could actually do their homework. And then I'm like, "Oh my goodness." So we're gonna spend some time and talk about when you're not right, what are some of the medical causes of that, things like mold, Lyme, toxoplasmosis, other infections, mercury, arsenic, candida. Dr. Mark Filidei:	Yeah it's a long list. It's a long list. And I remember you telling your story, I think it was early on when you were doing SPECT, about that couple you were counseling. They were really at each other's throat. You didn't even wanna go see them. It was a tough environment. But you found his brain looked terrible, and that he worked in a furniture factory, and he was inhaling these vapors which were ruining his brain. So that's a story I always remember, where you just wouldn't know that without SPECT. So for me, I work up all the toxic brains that we see, and as Daniel's mentioning, it's a long list of possibilities. That's where the history is critical. So I'll ask patients all these really weird questions like do you have a water leak kin your house? Or did anything start after foreign travel? Do you have a lot of fillings in your teeth? Do you eat a lot of tuna? You know these are ... you're not gonna get that from a psychiatrist anywhere else. They're not thinking that way. They don't need to because they don't see the scans. So if we see scan that doesn't look good, why? And that's where I come in and start my sleuthing. So people ask me, "What kind of doctor are you?" And I really think medical detective is the best description. Dr Daniel Amen:	Yeah, it's almost like Mystery Diagnosis, the show, except we do it day in and day out with real patients. So often people who come here, they come here to Amen Clinics with anxiety, depression, ADD, addictions. And when we see that their brains clearly aren't healthy, it really begins to trigger for us the toxin or the infection. What got you interested in looking at this for mental health? Dr. Mark Filidei:	So it was interesting, because before medical school I actually did brain research at a UCSF affiliate with EEG. And so I've always been interested in the brain before med school. And then you go to med school and things happen. I knew about the Amen Clinic while I was at the Whitaker Clinic for years, but there was just no connection. So at the Whitaker Clinic I treated everything else, diabetes, cancer, heart disease, we didn't do much brain stuff. In fact when I saw psychiatric patients, I'm like, "Go somewhere else, that's not my thing." Until realizing how huge of an impact biology and these things have on mental health and the brain. I had no idea. And so, connecting Amen Clinic SPECT with what I'd been doing was unbelievable. It's still to this day, I'm learning new things all the time that are causing mental health issues. Dr Daniel Amen:	So somebody's brain's being assaulted by a toxin like mold or an infection like Lyme. What are the physical and emotional symptoms they tend to report to you? Dr. Mark Filidei:	It really depends on what the culprit is, but brain fog is a real big one. I just can't think straight anymore. I have brain fog all the time. My memory's going. And these are you know, 30 year olds. Fatigue, so physical symptoms as well that really have no explanation. Stomach related issues, so it turns out yeast and candida can cause brain fog and anxiety and insomnia. I lecture a lot on this, and I'll show all these psychiatric symptoms where you could be given 20 different drugs for each one of those things, and each one is caused by candida. So again, people aren't thinking that way. So multiple symptoms, physical and mental, brain fog being a real big one. Weird neurologic symptoms. I get weird pains. I get weird sensations. Could be mold. So it's kind of a long list, but the whole idea is to have some curiosity. As you always say, "If you don't look, you're not gonna find it." And the SPECT really helps that. Dr Daniel Amen:	So often the scans, what we often see is when they're first being assaulted, so at the acute phase there's actually a SPECT study on the Cunningham panel, so it's one of the panels we look at to see if there are antibodies. So what antibodies are, your white cells produce these compounds that go and attack foreign invaders. Sometimes they mistake your body as foreign tissue and so that's why it's called an autoimmune disorder, where your white cells are attacking itself. It's just so interesting to think about what could trigger your immune system to actually see you as the enemy. Right? It's the ultimate ... what I think of in friendly fire. Dr. Mark Filidei:	Yeah, it really is. And again people are aware of autoimmune disease with rheumatoid arthritis and things like that, but there's also a similar thing for the brain. People aren't thinking about that much. Now you can have an autoimmune encephalopathy where it's a sever hospitalized issue. There's a famous book called "Brain on Fire" which was a reporter that had this similar thing going on out of the blue. Nobody could figure it out. It took a while. So that's the kind of thing that we're looking for here all the time. Dr Daniel Amen:	Okay, so we'll see it on SPECT and those of you listening, most of you will never get a scan, you know to suspect it if you have mental health issues, anxiety, depression, attention deficit, hyperactivity symptoms, insomnia, and the standard things you do for it don't work. Dr Daniel Amen:	And so how do you begin to work someone up if, for example, I've sent you hundreds of people, and what are the things that would begin to give people a clue that toxins may be part of what's happening in their mind? Dr. Mark Filidei:	That was a great question, and I gotta ask this of every patient. One of the most important things for me is when did things change. So if you were normal, whatever your normal was, and then you're not, what happened around that time? Did you go to school? Did you move into a new apartment? Did you have foreign travel? Something happened before. So we see plenty of folks that have ADHD from day one. Always been that way, they're just wired that way. That's one thing. If you were "normal", whatever that happen to be, and then you're not, it's that transition I really focus on. Patients don't really think about that. When I take them back through their history, all of a sudden a light bulb goes off. "Oh yeah I do remember, I did have xyz happen around that time." So changes in your situation are critical for me to work it up. Dr. Mark Filidei:	Your surroundings. So that can be key for the toxicity part. And again with SPECT, one of the great things about SPECT is when you come in ... If you come in here with whatever your issue is. Let's say you're 30 and you have bipolar OCD what have you. If your scan doesn't look healthy, there's a brain problem. So that's where we can really delve into what's the cause, instead of just saying I have a mental health problem. You have a brain problem. Dr Daniel Amen:	Yeah no, in my new book, "The End of Mental Illness" I so go after that. Especially bipolar disorder. So many people are diagnosed with bipolar disorder, but they don't really have the classic symptoms. They are irritable and moody, but they don't have the classic sort of manic psychotic episodes and then cycle into normal or depressed. It's they're always struggling, but they end up with a diagnosis of bipolar, and I often find it's either head injuries or toxins or infections. Dr. Mark Filidei:	Or infections, right. Dr Daniel Amen:	And so when we come back, we're gonna begin to go through some of the most common causes and we're gonna start with mold. Stay with us. Tana Amen:	If you are enjoying the Brain Warriors Way podcast, please don't forget to subscribe so you'll always know when there's a new episode. And while you're at it, feel free to give us a review or five star rating, as that helps others find the podcast. Dr Daniel Amen:	For more information give us a call at 855-978-1363. ← Egoistic Altruism: What Is The Highest Form Of Love?